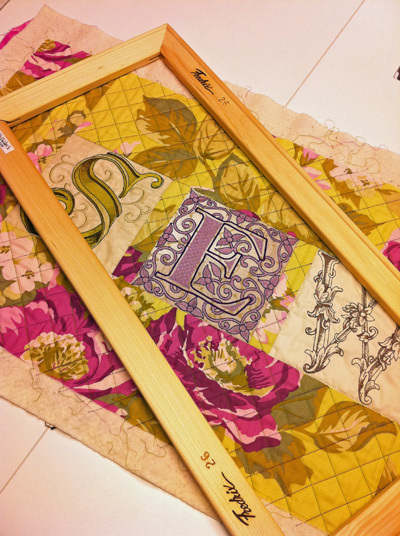 I love the beautiful limited edition alphabet available with the BERNINA 830 LE. 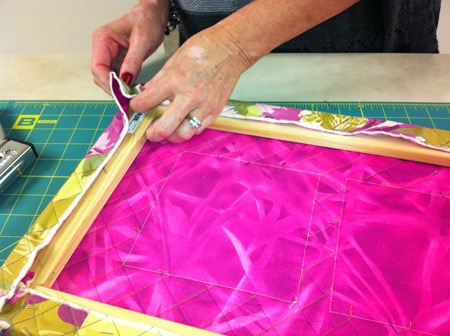 With some stretcher bars and a staple gun it’s easy to create stitched artwork for hanging. 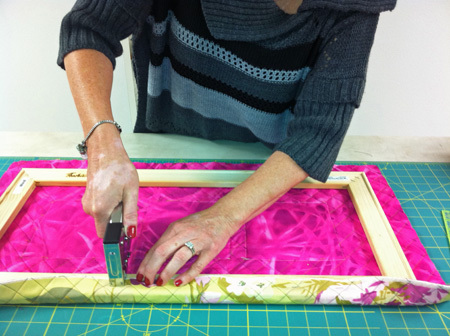 For this project I chose cream-colored tone-on-tone fabrics as a background for the embroidery, then used bright florals for the border. 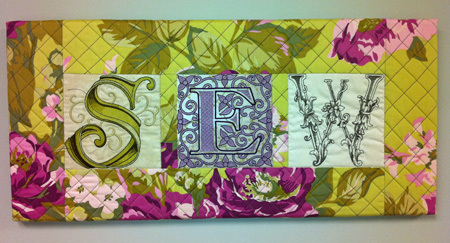 You can combine the letters to make a statement or just embroider your initials. 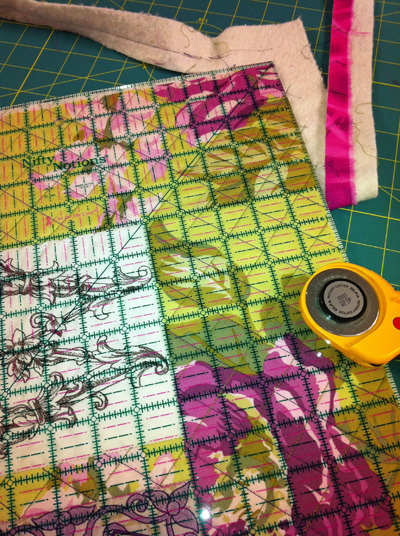 Add borders from your favorite cotton fabrics, then add a backing and batting and quilt the layers together. 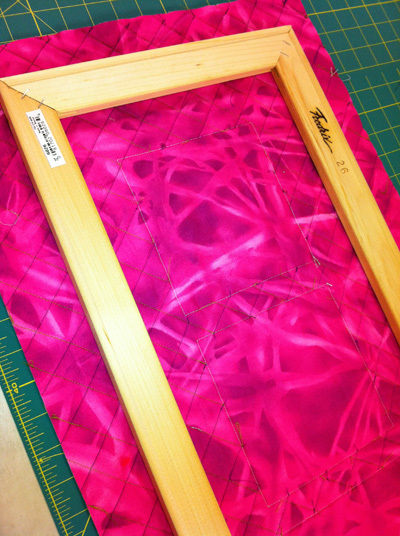 Purchase stretching bars from your local craft store, stretch your creation around the frame, and staple the edges in place. Add a wire for hanging. The result? 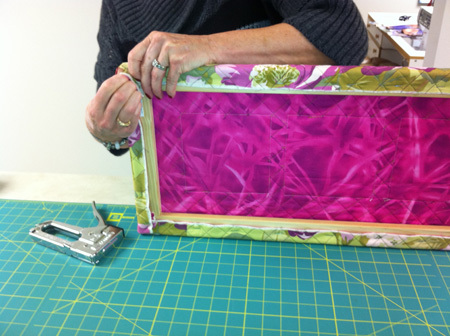 A great addition to your sewing space!